Plan ahead because this dish requires eight hours advance refrigeration. Grease 10-oz custard cup and set aside. Use an electric mixer on Medium speed to beat together cream cheese and butter until smooth and fluffy. Stir in remaining ingredients. Spoon mixture into prepared custard cup, packing well. Cover and refrigerate for eight (8) hours. Unmold and serve with rye crackers. 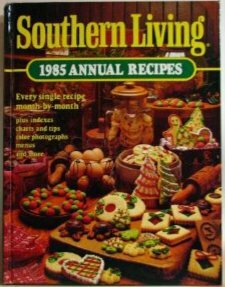 Slightly adapts Southern Living 1985 Annual Recipes (Birmingham: Oxmoor House, 1985), 276.